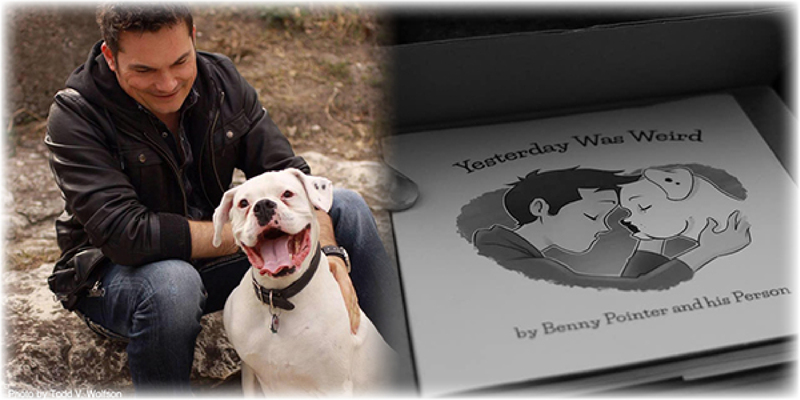 Yesterday Was Weird started as a Facebook post "written" by Benny about his own passing, just a few hours after his person and an in-home veterinarian helped him cross to the Rainbow Bridge. What started as a simple, true, and heartbreaking story online is now a book that you can hold in your own hands or give to someone who needs it. Click here to order one.